DS: Hi, my name is Dave Stone and I currently live in Nashville, TN. I am married to my beautiful wife Diana of almost 12 years with two awesome boys, Gavin and Owen. DS: I did. I played football all through my younger years and into college. While I wasn’t going to make it in the NFL anytime soon, I put everything I had into training for football and was always looking for ways to increase my advantage on the football field. I remember the first time I stumbled on Olympic lifting and trying to perform Power Cleans and Snatches in the local Gold’s Gym. I also road dirt bikes, raced bikes and skateboarded as a kid growing up, so overall I was pretty active in all different kinds of activities. After college, I was looking for other ways to work out as lifting for football was no longer needed. Eventually, I stumbled into Tough Mudder and Spartan Races. Through constantly looking for additional challenges, I found GORUCK and the community associated with it. I bought into doing every GORUCK event I could, eventually doing over 20 events, including Lights, Challenges, Heavys and Special Events. 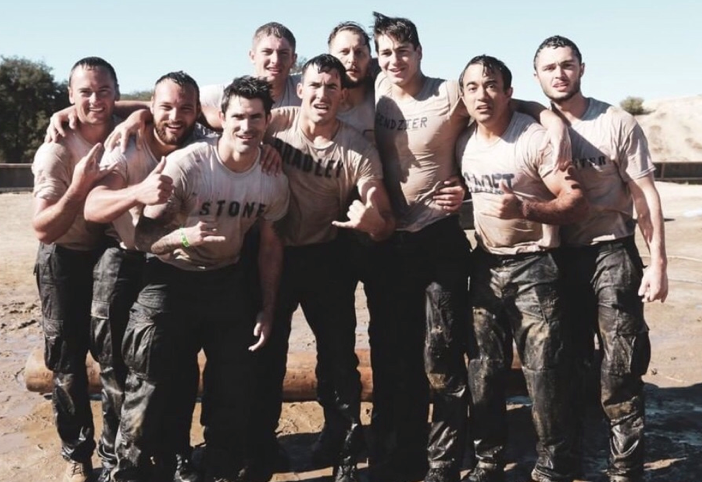 After doing these events, I was still looking for a way to train more efficiently, to not only better prepare for GORUCK but also just for life. I reluctantly went into CROSSFIT and got my Level 1 certification. 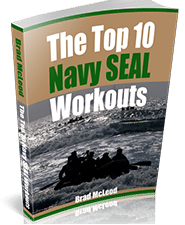 However, during training for CROSSFIT, I found SEALFIT and fell in love with the long workouts. 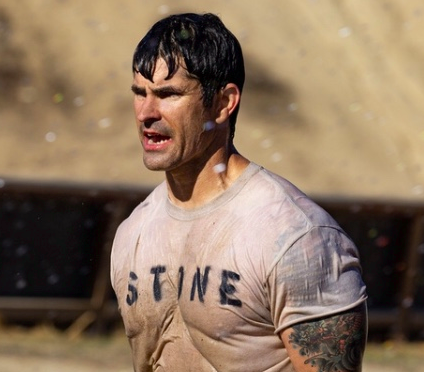 Through the SEALFIT community, I signed up to attend a 3 day performance camp with SEALFIT, along with completing a 20X event. Never in my wildest dreams did I think I would do Kokoro but eventually determined that the only way to truly get better in the things in life that I needed to get better at, was to put myself into the most uncomfortable environment I could. I signed up for Kokoro in July 2018. SGPT: How did you train for the Kokoro event? DS: Being that I had a solid base to start with, I circled 3 months before Kokoro as my true “Kokoro” training plan. I choose three months being that I didn’t want to get burned out on the training and I also didn’t want to over train. At the three month mark, I removed all Olympic lifting from my training and focused heavily on the PST, Murph, and long rucks under load. One of the best ways I found to train for this was to do the PST every Monday in full boots, pants and shirt to simulate the PST at Kokoro. I also did Murph every other week for the first two months in full boots and pants to make sure I could crush the standards. The big focus of my training was on nailing the Kokoro standards in that I figured if I could nail the standards during actual Kokoro, it would give me a great mental edge to keep pushing on (i.e. I knew they couldn’t drop me due to performance). I incorporated a lot of SGPT training along with Stew Smith’s 12 weeks to BUDs into my routine. The best way I found to increase my PST scores was to 1) simulate the test on a regular basis and 2) do the pyramids that Stew lays out in his books. This involved doing hundreds of pushups, pullups and sit ups each day. In the week prior to Kokoro, I was knocking out 300-450 push-ups to warm up, which provided extremely valuable when I got to Kokoro and we did push up after pushup after push up. I worked out six days a week for the full three months. At the two months out from Kokoro mark, I switched to 2 times a day workouts (morning and night) to simulate the amount of volume expected at Kokoro. My workouts would consist of PST items in the morning and running/rucking/rowing at night. I also incorporated a lot of hill sprints into my workouts and each Saturday would spend a few hours at the local trail doing hill sprints, 1.5 or longer runs, followed by a heavy ruck. The key to Kokoro is learning to perform after you have been completely exhausted and have nothing left to give. After 12 weeks, I looked back on my total miles run/rucked and I averaged over 25 miles each and every week (totaled over 300 miles during the three months). DS: Kokoro 52 was at Vail Lake Resort in Temecula and started at 10AM on a Friday on Oct 19, 2018 and finished on Sunday Oct 21, 2018. Although they change the event every year, my event started with a quick ruck through the mountains by vail lake, followed by an hour or so breakout, immediately followed by Murph and the PST. Night one involved rucking up Palomar mountain, Day two involved Pool events, and log PT; Night two involved surf torture and Day 3 involved more log PT and a final breakout session before securing. SGPT: What was the hardest part of the event? DS: The hardest part for me was night 1 where we rucked up Palomar Mountain. I had heard that this ruck was difficult but I figured that I’d done a ton of GORUCKs before and had trained hard for rucking, that it would be easy. I’d couldn’t have been more wrong. The ruck was on an old fire road and my nutrition must have been off, as I struggled after the first mile or so to keep up with the rest of the group. My mind started playing tricks on me also in that I kept thinking the top was very close, only to look up and see that it wasn’t anywhere close. I was definitely not in the right mindset and this is where I hit the thought of quitting the most, to the point that I thought how would I feel by having down 24 hrs of Kokoro. Ultimately, I vowed that if I had made the performance standards, that they couldn’t make me leave, so I put one foot in foot of the other and simply told myself that however long it took, I was going to make it up the mountain. Once we got to the turnaround point, I vowed I would not let them take me off the mountain and started a pace that kept me up with the leaders of the ruck the entire way down the mountain. SGPT: What is one thing you wish you have done to get ready for Kokoro? DS: There was more swimming in Kokoro than I thought. I actually didn’t swim one time before going to Kokoro (I must have missed that memo) so when we spent most of the second morning in the pool, I struggled to win races. The thoughts that go through your head when you don’t feel like you are “putting out” because you are struggling to swim in your clothes can break a man. I watched 2 really strong participants leave during the pool evolutions so practice pool swims in clothes. Also, the other thing I wish I would have done is more sprints in all kinds of environments. It pays to be a winner has to be your mantra and it pays to train to win running races, swim races, bear crawl races, crab races…do everything you can to teach yourself how to go fast in a race…your team needs you to be fast at Kokoro. SGPT: Any tips for up and coming athletes that want to do Kokoro? DS: The mental game is the real deal. Train just as hard mentally as you do physically. Read books on mental training, take cold showers and baths daily, practice breathing techniques. Whatever you need to do to ensure when the times get tough, and you fall back to your training, your mental training will support you. Listen, the instructors know your body will give out but they want to see how you response mentally. I never once was yelled at when I was giving everything I had physically, and just couldn’t do another pushup. However, the moment they saw someone give up mentally, they were all over them. DS: I used the 5.11 A.T.A.C 8” Coyote boot. I broke it in before the event by putting them on and soaking my feet in water and then going out for a ruck. My boots were completely broke in for the event and I had no issues with them. DS: I used sock liners that were covered with Darn Tough wool socks. I also used Trail Toes cream on my feet and every time we changed socks, I was throwing as much Trail Toes on them as a I good. I didn’t really have any issues with ith my feet other than a few hot spots, but I think the combination of sock liners/Darn Tough socks/Trail Toes really paid off. DS: I used a GORUCK GRO with a 35 pound plate in it. I also used the Rogue weight vest under my ruck with 20 pounds for a total load out of 55 pounds to do all rucks. The rucks you do at Kokoro will not be as nice of a ruck so practice with a cheaper backpack if you have it and a sandbag as this will be more realistic to what you will see at Kokoro. DS: The book I finished right before Kokoro was 6 Days of Impossible which is the story of BUDs (Basic Underwater Demolition School for Navy SEAL training) written by a doctor. Really good insight into what the body is doing and why it is reacting the way it is during and after BUDs. SGPT: Many thanks for the interview. DS: Definitely. Thank you for everything you are doing with SGPT. 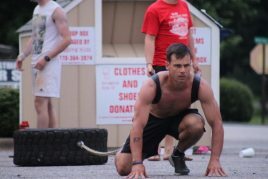 SEALgrinderPT.com is a proud sponsor of the Navy SEAL Foundation and raising funds for charities on CrowdRise.